Just fold and screw together for a simple yoga ball storage solution. 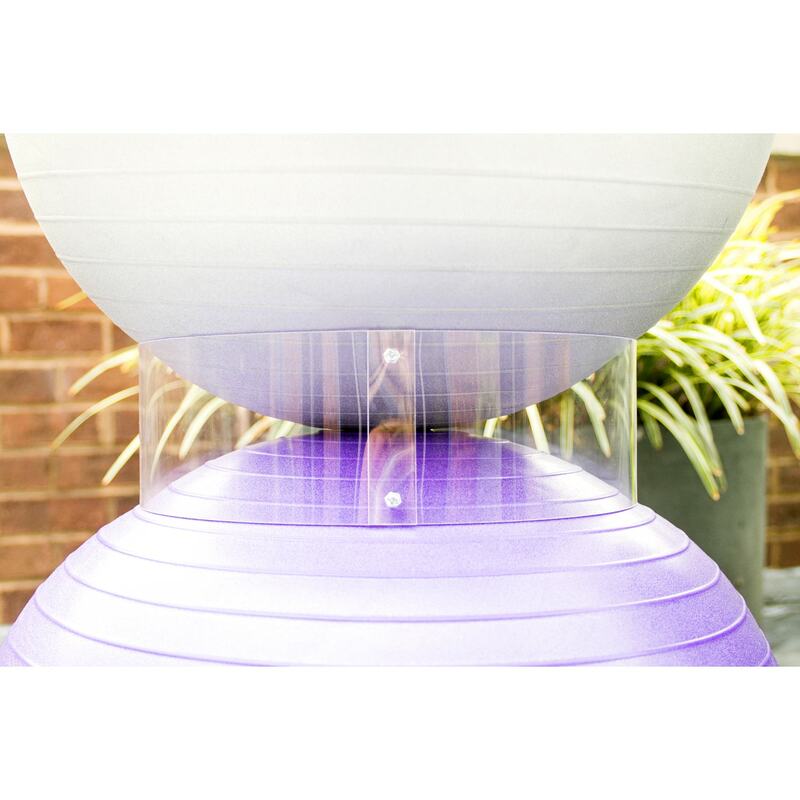 These clear acrylic rings can easily balance and stack multiple yoga balls for a space-saving vertical storage method. Measuring 39" x 4", take up less floor space in your yoga space, studio or fitness center with these easy problem-solvers. Effectively stacks yoga balls of all sizes.